Year-end shopping season is finally coming. In most retail stores, Black Friday shopping sale event that offers big discounts and amazing deals will be held upcoming November 23, 2018. While for online shoppers, they can enjoy this shopping event earlier since many online stores have already started giving discounted prices on their items. Fortunately I just visited ever-pretty.com that now offering Black Friday deals. Well, you can benefit from offered 15% discount OFF their evening dresses and bridesmaid dresses collection. 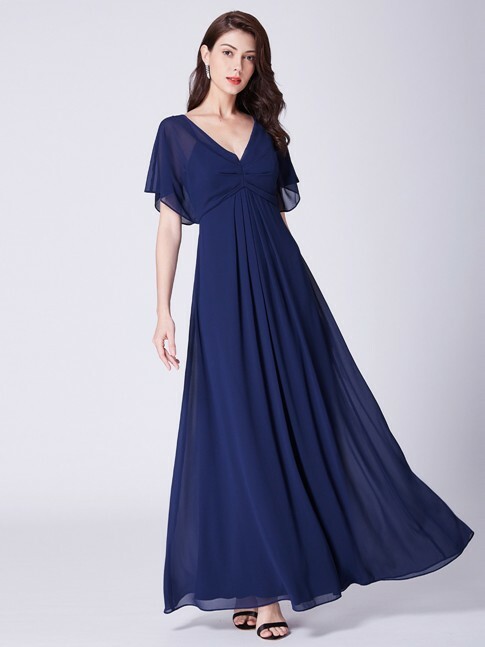 If you already plan to stock up some gorgeous evening gowns for different special occasions on this holiday season, now it’s the right time to shop while you can get those dresses at discounted prices. Shopping formal dresses at Ever-Pretty store website is fun and easy; you can straightly go to ‘Dresses’ tab and click the ‘Evening Dresses & Gowns’ or go to ‘Shop Dresses by Color’ if you want gowns in your desired colors. ‘Style Guides’ provided at the website as your shopping reference and guidance. Dress for your Shape, Color Guide and Size & Measurements are some issues from ‘Style Guides’ that you should know to make informed purchasing decision. It is always fun to see and share lovely dress designs in my posts. You will love Ever-Pretty dresses like me; there are so many trendy options to fit every woman’s style. If you want to stand out in the party crowd, dresses in the red shades could be your choice. 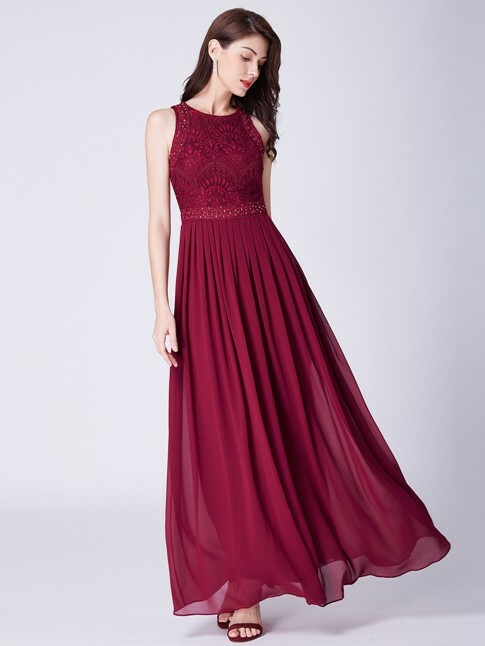 For those who still less confident to wear fiery red dresses, they can turn to other red shades such as burgundy dress which not less stunning. In my opinion, you should collect gowns in different fashion details or necklines to have wonderful variety in your wardrobe. Take a look at the featured gowns above to get dress ideas; each piece will definitely make you elegant and charming. Do you want to see more evening wear collection at inexpensive prices? Ever-Pretty is always a great place to go.